Many authors are content with discovering their niche, honing their craft in relation to that choice, and writing similar novels across their career. Hank Phillippi Ryan is not such a writer. Fans can trace her evolution from debut novel to the most recent book, all while witnessing how she employs skills gained in each area into future work – always improving beyond her already high-level of performance. Hank Phillippi Ryan started with a award-winning, four-book, traditional mystery series written in the first-person before transitioned into an award-winning, multi-POV thriller series which also incorporated some procedural elements. 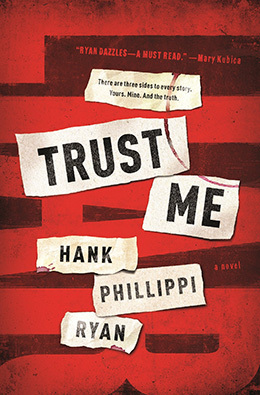 Not one to rest on her laurels, Hank Phillippi Ryan’s new novel, Trust Me, is a psychological suspense story with two very strong women at its core. Each career stage is seemingly different, and yet each is so authentically Hank. Here is where Hank Phillippi Ryan made the wisest structural and thematic choice for the success of Trust Me. Mercer Hennessey is hired to write a narrative non-fiction book examining Ashlyn’s trial. 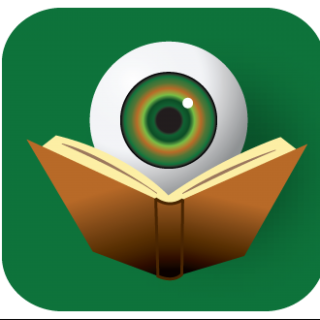 Any readers familiar with narrative non-fiction have likely heard about the countless ways in which books within that genre have manipulated readers in recent years. While presenting itself as “truth,” the writer of such a book is, by definition, making conscious decisions about what to include and what to obfuscate for dramatic effect. By choosing this type of writing, Hank Phillippi Ryan grants readers the permission to questions every choice that Mercer makes. A large section of the novel is devoted to the trial, as readers join Mercer in watching the testimony and court interactions from the seclusion of her home. Then each evening, Mercer writes a section of her new exposé – which is incorporated into Trust Me, for readers to experience. Those sections of Mercer’s novel have their own forward momentum – helping readers get to the truth of what happened to Baby Boston (maybe). The words truth and trust are so prevalent throughout the novel that it becomes a sort of mantra for readers as they turn the pages. By the midway point of Trust Me just seeing those words creates a Pavlovian response from readers – how ironic is it that the response generated is immediately distrust? That is the brilliance of Hank Phillippi Ryan. But really, you can trust me when I say that Trust Me is one of the best books and most significant achievements in crime fiction this year. Do not miss this masterpiece! I trust you Kristopher and I’m really looking forward to read this book.